How should you practise TDD... really? "Generally speaking, I like your material best of all the TDD material I've gone through (including Uncle Bob, Industrial Logic, Plural Sight)." —S.L. "We have started doing Learning Fridays, where we watch videos and than discuss. So far it’s been just the developers, and we’ve been focussing on programming skills. We’ve watched Series 2 of WBITDD and a number of Gary Bernhardt’s Destroy all Software videos. This has been an incredibly rewarding practice. We’re all getting closer to being on the same page regarding testing techniques. In just a few weeks, without making any other kind of definite process change, it has begun to really pay off in our codebase. Honestly, I think this practice is up there with retrospectives in terms of value to the team, and I would highly recommend it to others." Series 1 and 2 are available as a free preview. Please start with the first lecture in Series 1 and you will be able to continue through the end of Series 2 before purchasing the course. It's my gift to you! 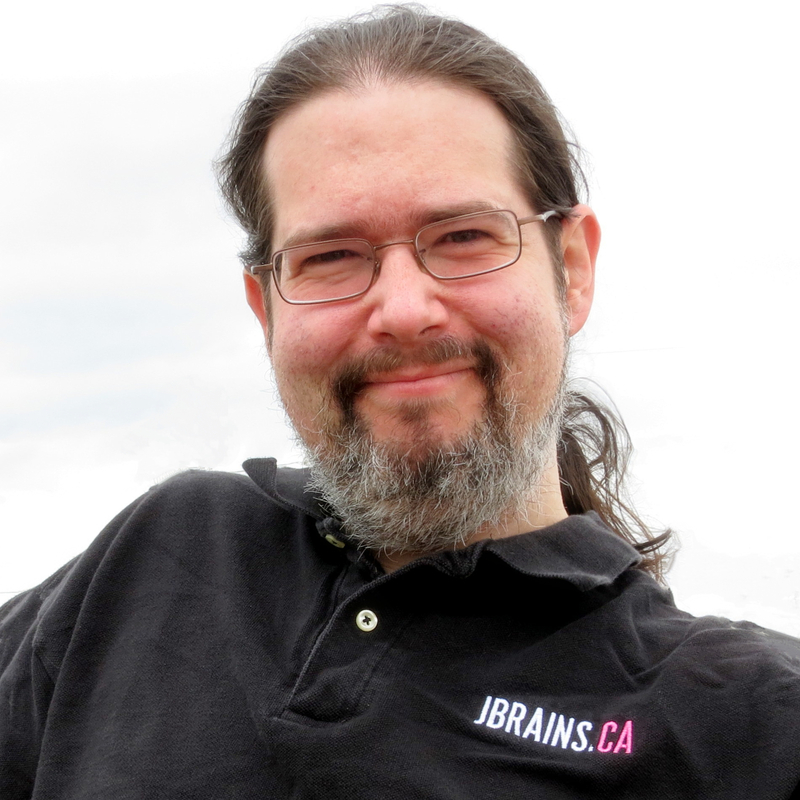 Read his work at jbrains.ca and as The Code Whisperer, and don't forget to sign up at sign-up.jbrains.ca—subscribers there got to sample this training material and received discounts on this training course. Don't miss J. B. 's next launch! @jbrains not sure if I thanked you, but your intro videos have my team actually writing tests now. So, thanks. How should you practise TDD (test-driven development) really? There's more, but that's not bad, is it? The bottom line is this: a lot of programmers have built lucrative careers by practising TDD. Some have done it by teaching others to do it. Some have done it by building high-quality products at high speed and maintaining that speed long enough to outlast their competition. Some have done it by becoming the expert within their company, who works on all the interesting stuff, has the credibility to choose what they want to work on, and either earns more or works with less stress—and often both! Now wait a moment... I'm not trying to tell you that TDD gets you there. I'm certainly not trying to tell you that TDD is the only thing to get you there, or even the best thing to get you there. I'm only telling you that TDD helps a lot of people get there. Even better, lots of people just don't get TDD, so if you do, then you have a fantastic chance to catch up to them, blow past them, and leave them in your wake. I used TDD as a deep practice approach to really understanding how to design software well. I didn't even realize that that's what I was doing! That's how powerful deep practice is in building skill, and TDD sped me along that road in a way that reading books, drawing diagrams, and programming in a trance several hours per day could never do. How to do TDD (duh! ): red, green, refactor. What makes designs stand the test of time, why this matters, and the four simple rules that help you figure out the rest. The critical importance of writing small, fast tests, and how to do it. The number one mistake that other programmers make—unhealthy dependencies—and how writing the test first makes it easy to avoid that trap. Testable code tends to be easier to maintain, as you'll experience over and over again. Avoid the typical traps that other programmers fall into when they practise TDD: slow tests, runaway mock objects, insanely tight coupling, and endless "refactoring". Where others fail with TDD, this course will help you succeed. This course is perfect for programmers in any modern programming language, and even a few archaic ones. "Paralysis by analysis has been a real problem for me with finding the right way to organize code. Becoming comfortable with refactoring is already showing signs of liberation. I feel free to explore ideas as I learn to refactor with small steps that don't change behavior (with confirmation of tests). I want more of this. — J. W.
"I've found the series invaluable. Although the the example is simple, there is so much great information. I find my self rewinding to make notes, highlight key phrases, and it helps me reflect on my current practices. It's always good to return to the fundamentals." — N.H. Looking for the new Enterprise Plan for a better company-wide rollout of TDD training? You'll find it at the bottom of this page. The course starts now and never ends! It is a completely self-paced online course–you decide when you start and when you finish. I'm not a Java programmer, so this isn't for me, then, is it? On the contrary, although I demonstrate the principles in Java, you can follow along in any imperative programming language: procedural, object-oriented, or functional. I suppose a Prolog programmer wouldn't find it as useful. One student who works in C# told me, "I have just finished Series 1, and definitely a .NET developer would learn a lot from it. 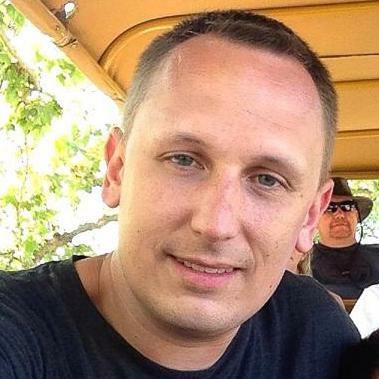 What specifically struck me most is the practice of writing a Test List, and doing microsteps when applying TDD." There are almost 20 hours of video demonstrations showing both the Classicist and Mockist approaches to designing the first couple of features of an application that integrates real-life hardware devices. You also have an opportunity to discuss the course with your peer learners, and since each discussion thread relates to an individual video, you never have to worry about spoilers! This course also includes a coupon code for one FREE month of The jbrains Experience, an interactive course where you learn directly from and with J. B. by asking and answering questions. What if I have questions about the videos? Ask them in the comment threads on each lecture page. Feel free to offer answers to your fellow learners. For this course, plain Java 8 on IntelliJ IDEA 14. Programmers on other platforms have told me that the concepts shine through, even if they're not seeing demos in their favorite programming language. "The best thing it did for me is that it showed a more complete picture and took away the guilt of not having perfect habits." -T.D. "I reached an 'Aha' moment when I was flailing [...] I ran before I could walk. I stepped back and realised I needed to (take a smaller step) [...] This was an interesting observation. After (that), the process continued smoothly." —Hemal Varambhia, referring to Series 1. @jbrains congratulations on the #WBITTDD courses. Worth every penny, lots of little nuggets in every episode. @jbrains @AnthonyMastrean In embedded programming; this [the style of design that students learn in this course] was a really nice way of doing things; I guess I forgot that could happen for larger systems. Do you need an invoice? Don't worry: you can visit request-invoice.jbrains.ca to receive an invoice for your company. Worried about VAT? Don't worry: you can use your company's VAT ID at checkout so that you don't have to recover VAT. You can then ask for an invoice for your company using the link above. Are you unsure about something else before you purchase? Visit here to ask your question! You receive lifetime access to this and every future version of this course, which includes about 20 hours of video demonstrations. It also gives you a place ask questions of and offer answers to your fellow learners. As a special added bonus, you will receive one month of mentoring from me as part of The jbrains Experience, a personalized consulting service where you can get answers to your toughest questions. Consider this a token of gratitude for your purchase! This plan offers you a convenient way to enrol 10 people into the course for "Lifetime Access + A Special Bonus". Purchasing instructions: The Purchaser buys this product, then receives coupons by email that participants use to sign up for the course. Please note that this is not yet automated, and so it might take up to 24 hours. This plan offers you a convenient way to enrol 20 people into the course for "Lifetime Access + A Special Bonus". It is exactly the same as purchasing the Small Team plan twice. Before you fly in a consultant to spend weeks training several of your teams in TDD, enroll them in an online course where they learn the same concepts on a schedule that works for them, which doesn't have to take them away from their day job for a week, and without paying for flights, hotels, and meals with expensive bottles of wine. Five (5) live, online 60-minute Q & A sessions with me for the training participants in order to get answers to their questions and receive advice on how to apply what they've learned to their work. Save your training budget for later, when they'll be ready for advanced, on-site training and coaching. With one single purchase, introduce TDD to your entire company! © Diaspar Software Services, Inc.